Update: Samsung has launched the Galaxy A9 and Galaxy A9 Pro Smartphone in China and both the devices are available world-wide right now. The phone features 6.0 inch Full HD SUPER AMOLED display with 2.5D curved Glass. It boast 1.8 GHz Snapdragon 652 processor, Adreno 510 GPU and a 3 GB RAM. Currently the device is available in three colour variants silver, pink and Gold. As per the latest updates Samsung is right now working on its upcoming Galaxy S8 flagship which is going to launch on March 29 and will be available by April end in market. You can check out complete specification of Samsung Galaxy A9 and Samsung A9 Pro below. –> Buy Galaxy A9 Now! Samsung is well set to make 2016 its biggest year ever. 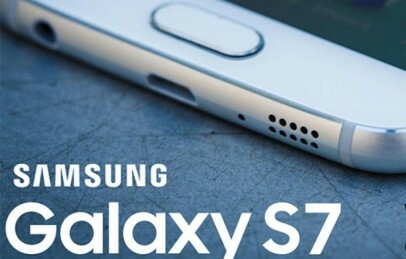 The company has recently launched their “Galaxy S7 Flagship” with S7 and S7 Edge variants. Both these phones are now available. As per reports and rumours after launching Galaxy A9 and S7 series, Samsung is preparing Note Edge 2, Galaxy Grand 3 and Galaxy Note 6 flagships. So, expectation are on it heights as Samsung has produced so much variety in their Smartphone portfolio. 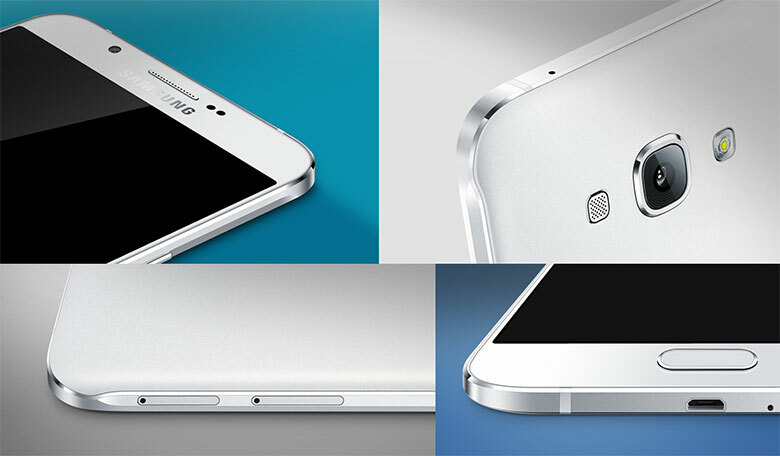 Both Samsung A9 and A9 Pro are quite similar in design and has just few changes. The A9 pro comes with 4GB RAM and 5000 mAh battery while Samsung Galaxy A9 comes with 3GB and 4000 mAh battery. Rest of the specs will remain same in both devices. According to latest details of Galaxy A9 Smartphone is going to have a 6.0 inch large Super AMOLED display with 1920 X 1080p Full HD resolution which is really a superb quality for budget Smartphone’s. It will have a premium built up with all metal and smooth finishing. It runs on Qualcomm Snapdragon 852 chipset which includes Quad Core 1.8 GHz Cortex A-72 and Quad Core 1.2 GHz Cortex A-53 CPU. The Galaxy A9 will be configured with 3GB RAM and Adreno 510 graphics processor which makes it considerably good for powerful multi tasking. The plus point with buying Galaxy A9 is that, it’s going to have 4000 mAh battery which makes it best at this price. Now as the phone is available we have complete details of A9, it comes with f/1.9 28mm camera lenses which is capable of shooting decent images. As per the official specs, Samsung Galaxy A9 comes with 13 mega pixels primary camera with HDR, autofocus, upgraded light sensors. It will have a 5 MP camera at front end and can easily shoot [email protected] video recordings. As we all know that Samsung Galaxy A Series is well known for coming up with premium quality Smartphone in budget price. Samsung A9 price will also fall in mid range. The currently available Galaxy A8 Smartphone is selling at price of 18000 in India. The price of GalaxyA9 and Samsung A9 pro is around 29-30k INR. Update: Phone is released and available now for shipping. You can Buy GalaxyA9 Smartphone here at price of 480 USD which is an offer price only available on amazon.com. What does the latest addition to the refreshed Galaxy A series bring to the table? We find out, in this in-depth Samsung Galaxy A9 review! As per the rumours Samsung is just readying Galaxy A9 series for an early 2016 release while the exact date is not confirmed yet. But as we all known Samsung is also preparing their Galaxy S7 flagship Smartphone which is going to get announced at MWC event. So, there can be two possible scenarios for the launch of A9 series. Either Samsung announce it at CES 2016 event or launch it after Galaxy S7 release which means in April. You can share your thoughts about this Smartphone by commenting below and before you leave make sure to like and share us on social media by clicking below social buttons. When is this Samsung galaxy A9 release in Singapore? 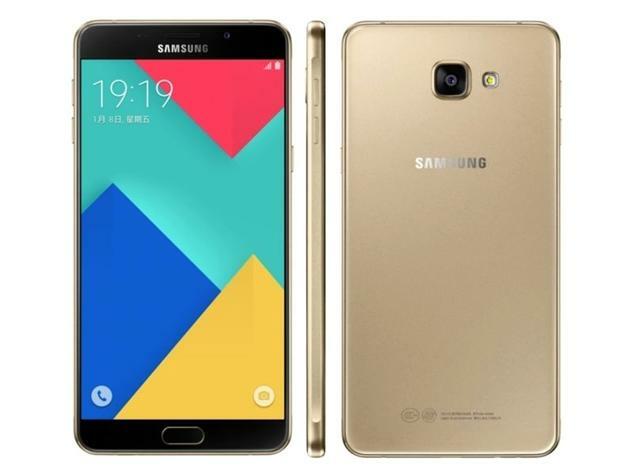 What is the price of Samsung galaxy A9 white /gold? how can I order/online shopping?